The power of budget planning and forecasting tools lies in its ability to deliver seamless integration with ERP systems. Enterprise Resource Planning (ERP) Systems are powerful tools that no organization can do without. They are designed to manage the flow of data between the various business units within an organization. While ERP systems are built as “jack-of-all-trades” encompassing multiple applications in a common interface, their budgeting modules often don’t provide the level of functionality and lack in crucial areas required by public sector budgeting. Recognizing this solution gap, highly functional and integrated database driven budget planning & forecasting (BP&F) solutions have been created. Let’s discuss how they work within the framework of an existing ERP system, and the benefits they provide. The ability to handle forecasting, scenario budgeting, allocations, priority-based budgeting, and other functions key to public sector budgeting, are severely limited in most ERP systems. 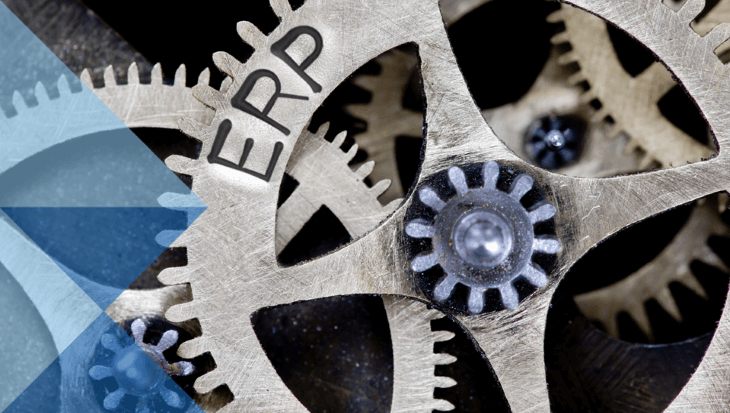 ERP systems are inherently expensive, so introducing a new one in the hopes of it having a better suited budgeting module is often not an option. Contracts can be difficult and costly to cancel. New software and maintenance agreements need to be negotiated. Add to this the cost to provide licensing and training for all employees using the ERP system and a realistic budget can very quickly be exceeded. While ERP systems house data in a format specific to accounting, budgeting often requires a very different data structure. Organizations often develop ad-hoc methods for dealing with this, such as Excel spreadsheets or homegrown Access databases, but these can be very inefficient and provide only a partial fix. This approach also places a dependency on a few key individuals responsible for managing the complex spreadsheets. Although spreadsheets may be easy and familiar, they require a great deal of manual work, opening the door to inaccuracies through incorrectly entered data, missing links, and version control. Data sharing is severely limited, resulting in an overwhelming volume of spreadsheets and a constant reliance on Finance to provide budget updates. Access databases offer an alternative to spreadsheets, but also come with inherent limitations. The amount of manual work required to setup the application, including formatting, mapping, reporting, security, and so on, results in a tremendous commitment of time and resources. They frequently don’t result in any cost savings, and the reliance is solely on the proprietor of that application to perform maintenance and upgrades. Access databases are simply not as scalable, and are really only suited for a limited number of users, and minimal data. As the volume of data increases, the performance of the application deteriorates. These solutions simply don’t match the robustness of a true database application. Given the generic nature of ERP budgeting modules, and the limitations of spreadsheets and homegrown database solutions, specialized BP&F solutions are becoming increasingly recognized as the answer to filling the gap between what is needed and what is delivered in budgeting. Budget, planning and forecasting tools are powerful solutions designed to deliver seamless integration with the ERP system. The two way transfer of data to and from the general ledger, and payroll and HR, provides an easy flow of information throughout the system. Although most organizations choose to run updates on an automatic nightly schedule so actual costs are available for staff each morning, on demand updates are also available. As most BP&F companies have experience with many of the ERP systems on the market, they have a thorough understanding of both the workflow within each ERP system, as well as the customer’s business process. This has enabled them to develop proven methodologies for full integration between the systems, which not only mitigates the risk to the customer, but also ensures minimal impact to end users. From the outset, a clear path is established, ensuring all aspects of integration are defined, including accounting terminology, GL Account Structure, and Custom Fields. The integration follows a clearly defined path. Everyone understands their role and the success is measurable. Experienced BP&F companies have developed integration interfaces to handle the process seamlessly. These tools are designed to auto-mate the import of actuals from the ERP system, from any number of data sources including flat file, spreadsheet, web services, or directly from the ERP database. Little to no involvement is required of the customer, and no technical resources are needed on the customer’s end. The new budgeting functionality becomes available to users without any interruption in service. A good BP&F tool provides safeguards such as exception reporting, which notifies users of any errors that occur during the import of data from the ERP system into the budgeting solution. These reports are automatically generated and identify the specific issues, such as missing positions, incorrectly entered data, or data that doesn’t meet formatting requirements. Users can quickly resolve the issue, resend the data, and get back to business. With salaries accounting for such a large percentage of any operating budget, the ability to integrate salary data provides immediate impact to the functionality of budgeting. Typical features include un-limited forecasting, and unlimited “what-if” scenarios which can handle anything from budgeting for future positions, to changes to COLA, to allocating a resource across numerous cost centers. BP&F tools are created to be more user-friendly and accessible than the in-house tools that are developed to extend ERP functionality. BP&F tools makes tasks such as accessing salaries data (budget and actual), and navigating the complexities of variance reporting easy, thereby bridging the gap between the casual and super users. Integrating a powerful BP&F tool with the existing ERP system delivers a powerful two-way transfer of data and harmony within the finance and budgeting environment and eliminates the need for any “double entry”. BP&F tools are “bolt-on” applications that exist outside the domain of the ERP system. They have been developed by companies focused solely on this piece of the puzzle. This is their primary objective and they are experts at it. They know the process, the limitations, and are constantly evolving their tool in response to the changing needs of the industry. BP&F tools are significantly less expensive when compared to an ERP replacement. The investment in software, licenses, and maintenance is much more easily managed. Since these are bolt-on applications, the ERP system can remain intact. Training costs are lower as only people involved in the budget process require training and licensing. Additionally, many BP&F companies offer SaaS (Software as a Service), which allows you access to the software, but with a significantly lowered upfront investment. Training is only required for budgeting staff, not the entire staff as would be the case in an ERP replacement. The software solutions are often built using an interface already familiar to end users. The cost of a BP&F tool is typically more efficient, as the software, development, support, and all related after sales services are provided by one company. As scrutiny over public sector budgets increases, budgeting solutions are responding with flexible options including performance measurement, priority-based budgeting, zero-based budgeting, and allocations. Designed to process data with a focus on budgeting, they handle the mapping of financial data to the appropriate budget target (Division, Department/Cost Centre/Project, etc.). The costs and complexities of salaries budgeting demand a solution with the ability to handle salary costs, benefits, union negotiations, scenarios, and forecasting. Features such as allocations allow managers to split salary/benefits and other personnel costs across multiple units, based on any number of weighting calculations. This provides an accurate account of each department’s true labor costs. BP&F tools come with a number of pre-designed reports and the ability for users to create their own ad-hoc reports. Make sure the reports exist or can be created, that present the information in a manner that is relevant to your particular business. The impact of implementing a budgeting, planning and forecasting system at your organization is immediate and measurable. Having the ability to import historical data and current actuals, as well as to capture variance reporting provides staff with the tools necessary to make informed budget decisions. BP&F tools make it easy to set and track strategic initiatives, by associating KPI’s (Key Performance Indicators) to formulas in the budget, and by attaching cost-drivers to a budget. BP&F tools are designed to provide multi-year forecasting, simulation, and scenario capabilities, something few ERP systems can do. This enables managers and finance to formulate and develop the budget best suited to meet their business objectives, both short and long term. Change management is easily handled within BP&F tools. Transfer requests (transferring funds from one budget to another) can include supporting documentation, and can be tracked throughout the approval process. Providing department managers with the tools necessary to create, track, and control their budgets, shifts the ownership off of Finance back to the managers. BP&F tools provide management with real-time budget data and an inclusive view of their budget vs. actual costs. Eliminating the reliance on Finance to compile updated budget data, and provide the information behind specific business decisions, allows end users to focus their efforts more immediately on value added analysis. Enhanced budget functionality is becoming a basic requirement for effective public sector budgeting. Robust, highly functional, and cost-effective, BP&F tools provide a seamless integration with ERP systems and open the door to better, more accurate and timely budgeting. Comprehensive software for managing both your budgeting and forecasting practices is one of the best investments you can make for your public sector or non-profit organization. With the right team in place you are sure to see a return in no time at all. Register for one of our free monthly webinars or set up a demonstration to found out more about how Questica Budget can help you streamline your budget preparation and management process.